There is a strong possibility that Meriwether Lewis was addicted to drugs at the time of his death. 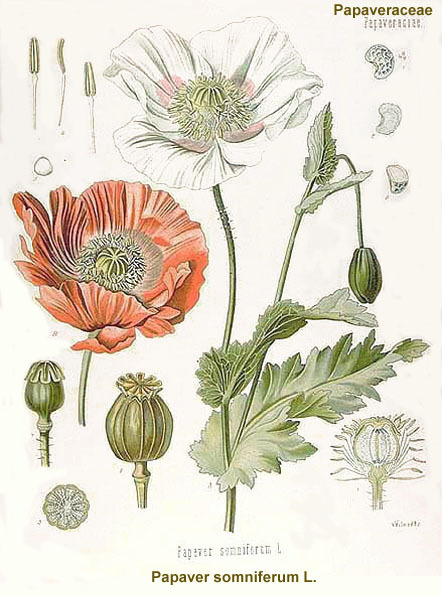 Lewis’s biographer Stephen Ambrose noted that Lewis was depressed, drinking heavily, and was taking opium pills and laudanum (a traditional preparation in which opium made from poppies is dissolved in alcohol) to help him sleep and to relieve the symptoms of a flareup of malaria, which would have included fever, chills, headaches, and nausea. When Lewis became ill in St. Louis in 1809, he would naturally have turned to opium, and would not have had any trouble obtaining it. Narcotic addiction was very poorly understood at the time, and did not become a societal problem until many years later. Control of opiates was nonexistent, and in fact did not really take hold until a full century after Lewis’s death. Through much of the 19th century, laudanum was readily available and cheaper than gin or beer. So what would Lewis have experienced as a user of opium? Apparently the drug’s effects varied considerably from user to user. Certainly he would have achieved temporary relief from the pain and digestive upset of malaria. Probably at first, he would have also experienced some increased energy and serenity of mind as the drug helped to lift his depression, and a few weeks of use would not have impaired Lewis’s personality or judgment. Depending on the dosage he took and his state of mind, he may have felt euphoric or experienced dreamlike hallucinations or visions (“divine enjoyment,” as Thomas de Quincey wrote in his classic 1822 account, Confessions of an English Opium Eater), but this experience is far from universal with the use of opium. For many users, any relief they get from the drug is followed by nausea and depression as the drug’s effects wear off. The real danger of opium use comes from the addiction. For once a dependency on laudanum has been formed, the pleasant effects of the drug are replaced by a feeling of nothingness without it and a craving for more of the substance. Higher doses are required to achieve the same relief as before. If the addict decides to quit the habit, he exposes himself to a hellish and painful ordeal that combines the symptoms of drug and alcohol withdrawal. Later users of opiates such as morphine and heroin would recognize the symptoms of going “cold turkey”: agitation, anxiety, flu-like aches and pains, runny eyes and nose, alternately sweating and shivering, and severe digestive upset. Like many other users of the “plant of joy,” Lewis may have found that the cure was worse than the disease. This is an interesting post! I never knew Lewis was taking opium and laudanum at the time of his death. I heard a podcast that made the argument that history has probably been influenced by drugs and alcohol more often than we think it is. It has only been in recent history that we have come to understand more about addictions and the dangers of drugs. Very thought provoking! Hi, Rebecca, I wonder sometimes whether we still understand the dangers of drugs. Most of us know better than to take opium, but what about the anti-depressants and other panaceas of today? It would be interesting to know what people 200 years from now are going to say about the drugs we depend on. As a recovering addict/alcolholic who is also a student of the Lewis and Clark Expedition – many aspects of the story have always raised red flags for me. First was the widespread availability of powerful opiates – which Captain Lewis controlled as the “Doctor” of the expedition. A second curiousity is the tendency for Meriweather to so-often travel separate from his men, choosing instead to walk the forests adjacent to the waterways “hunting” while his men transported via the boats. It’s easier and more comforatble to get high away from the scrutiny of others. At that stage in his drug use, opiates were probably still felt good and were not a necessity to hold off withdrawal. Last of all is the discussion of Lewis’ experiences and condition just prior to his death. As Lewis, now just days from his death, passed through Ft. Pickering at Chickasaw Bluffs, the Commanding Officer at the Fort, Captain Gilbert Russel was so alarmed at Lewis’ state of mind that he “confined Lewis for five days and kept both liquor and his papers away from him”. My guess is Lewis’ “papers” included his medical kit with whatever was left of his opiate supply. It would also be not uncommon for M.L. to be cross-addicted to alcohol and be hitting the bottle pretty hard, especially if the laudanum stash was running low. Finally, just prior to his suicide at the Grinder home, the desciptions of Lewis’ behavior and state of mind perfectly match advanced withdrawal symptoms – the agitation, delusions, even outright hallucinations. This last trip itself may have been an attempt on Lewis’ part to detox himself. A return to a wilderness containing his last memories of feeling comfortable. I suspect M.L. was a functional addict on the Expedition, the worst of the addiction held at bay by the rigors and demands of the trip. The addiction came to full blossum in the years after the historic trip and the poor man’s attempt to get to Washington may have involved chemical addiction issues as much or more so than the political/financial reasons on which published history focuses. No 12 step programs to explain the situation and guide such folks back then. Skillet, thanks so much for sharing your ideas. Have you run across anything that tells how much laudanum the Corps of Discovery took on the journey? Would it have been enough for Lewis to maintain a covert addiction during the journey? I had always theorized that he did not get “on the stuff” until he got back to civilization. No Frances, I haven’t seen how much laudanum they took, and don’t know too much about dosages etc, except that the journals show dosages of several DROPS for various ailments. Sounds like powerful stuff. I imagine it wouldn’t take much space to carry quite a supply. And remember I theorize he probably wasn’t a full-blown destructive user – yet. I am hoping in I am not projecting too much of myself into my interpretation, but based on my own experiences and those of others in recovery can say that there is usually a period of time in addiction when the drug seems to “work” for you, then a period later when it definitely does not, when it takes more and more just to be marginally functional. 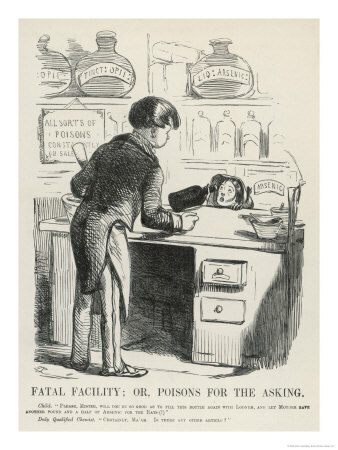 I could easily see his use of laudanum starting rather innocuously, (imagine the muscle soreness alone they must have been dealing with on such a journey, taking no account of actual illness and injury!) and then later getting more habitual – especially if Captain Lewis had an addictive physiology, tried to settle into a “normal” lifestyle, missed his comrades and had a little too much time on his hands. Then later in the history, his “trip” back to Washington from Louisiana smacks to me of what 12 steppers jokingly refer to as the “geographic cure”. In other words the addict, sensing something is profounding wrong, but not understanding exactly what it is, instinctively attempts to flee – going somewhere else, thinking a change of scenery or venue may somehow help them. It’s a natural reaction to pain, but of course wherever you go – there you are, as they say and your addiction is light baggage, always ready to travel with you. The thought of geographic cures are actually funny to alcoholic/addicts in recovery who understand them. To those still confused and in agony they are not funny at all. Captain Lewis may have even been intentionally putting himself in a situation without access to opiates in an attempt to dry out – and went into a form of delirium tremens on the trail. Now days we’d have gotten him a medical detox with intraveneous fluids, medications, etc. I think the suicide hypothesis is probably the correct one. Skillet, this is very interesting. I didn’t know that the “geographic cure” had a name but I have certainly seen people trying to practice it often enough. It must have been hell back in the day when people had to simply try to cope with these addictions on their own. Have you ever read much about Sam Houston? Now there was a guy fleeing some serious demons. You have given me an idea for a new post that I am going to run tomorrow about the “medicine chest” of Lewis and Clark. It has made for some interesting reading this week! insisted on staying behind alone to allegedly find lost horses when we know know he travelled to Franklin to appear in court makes me think there is something to the belief he was afraid for his life because of his knowledge of treason between the first governor of The Louisiana Territory , Allan Burr, and the Spanish government. Neely avoided bankruptcy and the Grinder’s got rich suddenly. 120 grains of morphine is not a huge dose over a week. In any event, “huge dose” is not my own insertion, but rather quoted from the source. Possibly doses varied according to the pharmacist and perhaps regionally as well. The idea that Lewis was suffering from malaria in his lasts weeks lacks evidence. None of the eye-witnesses who recorded their observations say a word about Lewis having malaria, and they would have been all too familiar with its symptoms. It was obvious Lewis found relief from the depression that tortured him with the use of opium. I have no idea the tolerance he had built or how often he used the drug but I can’t help but wonder if a dose of opium would have given him the strength he needed to make it through that last night. on June 9, 2015 at 12:13 pm Alice Long, Ph.D. If you look at the entire lists of supplies that the Corps of Discovery carried, you will find the pharmaceuticals included — a list that Dr. Benjamin Rush if Philadelphia advised. Never overlook the possibility that mercury had a debilitating effect on Meriwether Lewis. I would not go so far as to say he was in any sort of continual need of mercury, or of any opium – based drug. Although common sense tells us that the expedition ‘s journal keepers most likely omitted some things, a basic understanding of the times tells us that no use of opiates would have been thought unusual. Therefore, such a thing would have been reported without any guilt, if you will. Meriwether had serious problems as governor of the Upper Louisiana Territory. Frederick Bates, his secretary with a vengeance, constantly stirred dissent & most likely spurred the financial devastation that ML suffered ear the end of his life and which for ed him to leave St. Louis on his final journey to Washington City. Remember that this was to be by boat — all the way down the Mississippi to New Orleans, around Florida, then up the Eastern seaboard to Washington. He knew President James Madison & I tended to appeal dire try to him. The cause of ML’s bankruptcy was a written copy of a set of legalities that ML should have been reimbursed for. He ran into further complications with Eustis, whose earlier history with Meriwether I am sure you know. His voyage by water ended at Ft. Pickering (see my article on Lewis & Clark in ‘Memphis ‘ which is in The West Tennessee Historical Society Papers, 1995, I believe. I explain Meriwether’s complete connection with the Fourth Chickasaw Bluff, which was not to become Memphis until a decade after his death in Middle Tennessee. Meriwether never set out from St. Louis with any intention of traveling overland. This may explain Clark’s not fully understanding Lewis’ last letter, in which he asked Clark to catch up with him via The Natchez Trace. But ML’s last journey was never planned as a way to recover from opiate addiction in the wilderness. I have worked over every angle of this scenario for years. If you have any questions, please feel free to contact me.